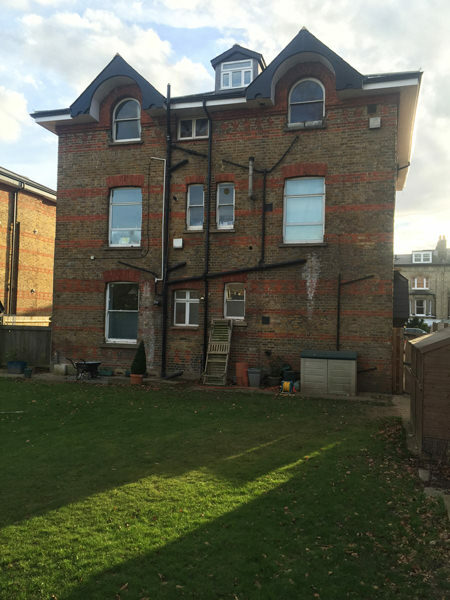 A new contemporary rear extension to a detached family house in Teddington. Complete internal refurbishment and works to rear and front garden. Teddington is a suburban area in south-west London, England. Historically in Middlesex, it has been part of the London Borough of Richmond upon Thames since 1965. Teddington is on the north bank of the Thames, just after the start of a long meander, between Hampton Wick and Strawberry Hill, Twickenham. Mostly residential, it stretches from the Thames to Bushy Park with a long high street reaching down to pubs, restaurants, leisure premises, fields and fitness clubs by the riverside, having a pedestrian suspension bridge over the lowest non-tidal lock on the Thames, Teddington Lock. Teddington’s centre is mid-rise urban development. 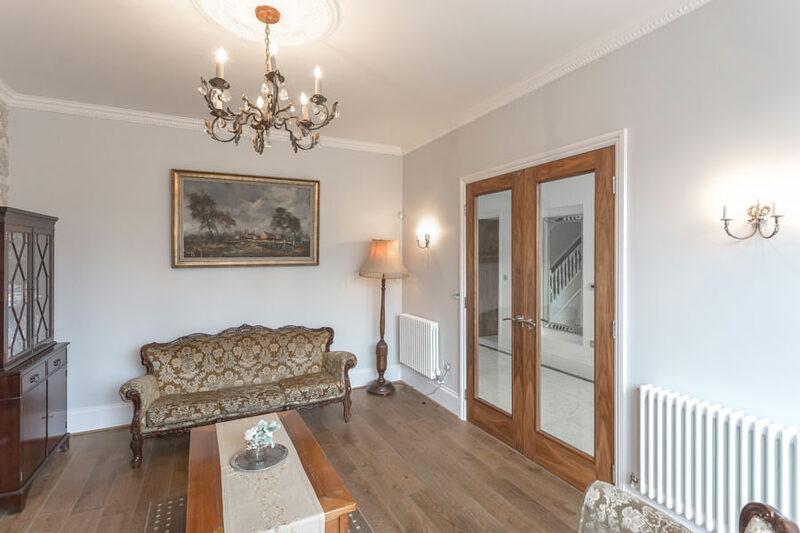 This detached three level family home was once divided into three apartments and accessed from the side. The new owners took it upon themselves to unite this grand home and extend it further into the garden. After gaining planning permission for a large rear extension, works began on site in early 2016. The new main entrance was moved to the front of the house and is emphasised by a new front porch. Its fixed top and side windows allow natural light to flow into the hallway, which leads into a spacious open space rear extension. The new extension contains a traditional Japanese room, with a large round window unto a Japanese garden, living area, dining area and a kitchen. The staircase leading onto the higher levels was completely refurbished. The first floor contains two large bedrooms with bathrooms and two dressing rooms.